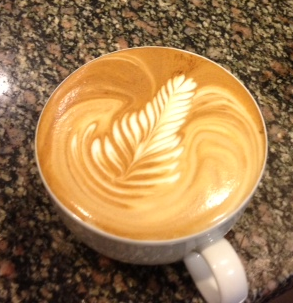 Blue State Coffee Latte Throwdowns: Round #46 Winner! Congratulations goes out to Helena Kranjc from New Haven for her winning latte in the month of September! There was some strong competition this month, and Helena beat out some impressive pours to take the top title. A very balanced pour, with good contrast and full use of the cup were the winning attributes. Well poured.